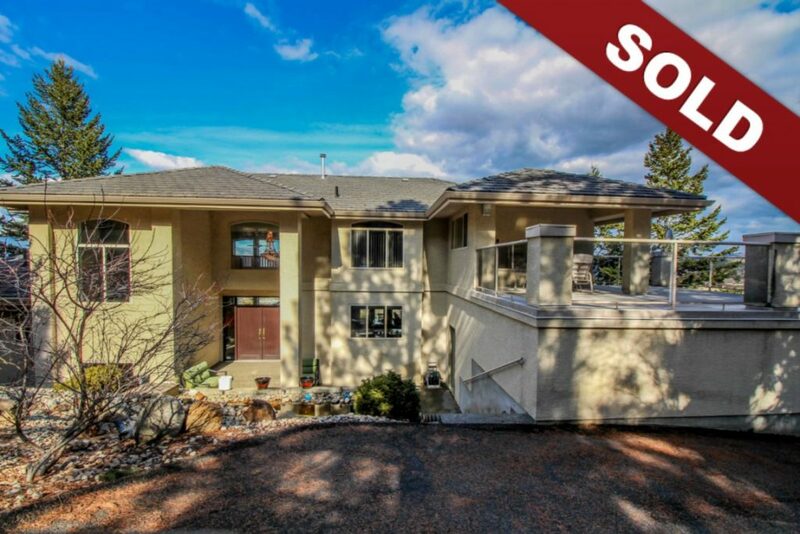 New Listing: 2039 Glenmohr Drive, Aberdeen, Kamloops, BC $874,900. Gorgeous 1.15 acre estate property with custom built two storey home featuring sweeping river valley and city views. This home is very bright and inviting with lots of huge windows to take in the views. Located on a very private lot with lots of parking plus a 3 car garage (city will allow for 2nd driveway off of Howe Rd). The grand foyer opens up to a gorgeous living room that is open to the second level and features high ceilings and multiple windows. The kitchen, dining and family room are open to one another with laundry room located off the kitchen. The kitchen has granite counters and so many cabinets it would be hard to fill it. Through the laundry is access to the 2 car garage (24×26) and private patio. The master bedroom is on the main floor with 5 piece ensuite and its own patio. There is a 2 piece powder room as well. The second level is open to the main floor with a large loft space, two generous sized bedrooms, one with a 3 piece ensuite and there is also a 4 piece main bathroom. Bonus second laundry room on the second floor. The basement level is virtually unfinished and could offer a ton more space for the family or accommodate an in-law suite. It has roughed in plumbing for 2 additional bathrooms and there is a separate entry. The ceiling height is very high and there is access to the oversized single garage (22×16) through the basement level. The back yard is fully fenced and offers a lot of privacy and flat space for the kids to run. This property offers ultimate privacy within the city located 5 minutes to shopping and walking distance to transportation. Day before notice for showings.